I had such fun with these little notebooks at Christmas I thought I might make a few for Valentines Day. 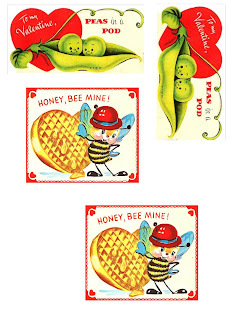 The images are vintage valentines that I scanned except for the the little bluebird. I borrowed her from the wonderful flickr site belonging to Elizabeth of Creative Breathing. Then I created these Valentine peek a boo notes. 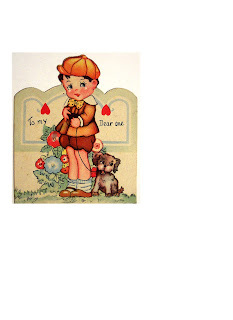 I love the colors of Valentines Day---so sweet and romantic. I hope you all are snuggled safe and warm today enjoying the peacefulness of a cozy Sunday afternoon. Nothing like some homemade hot soup on a frigid cold day! Your little notebooks came out so cute...I hope Elizabeth hops over and sees that bluebird. Cute, cute, cute! The peek-a-boos are adorable-glad we got that heart punch! Yay Martha! Your note books and little notes are adorable. Can't wait to see your Valetine's Day cards. You could send me one. Your note pads are adorable. I fixed ours in the crockpot. It was cold enough that we didn't venture out, plus we were getting more snow. This snow was really light and fluffy. You could push it off the car with a broom. I really like your blog. Loveeee the peek a boo notes, so feminine and cute. Oh my goodness! These are DARLING!!! LOVE what you did with them.